Patients who suffer with an Overactive Bladder have a problem with bladder-storage function that causes a sudden urge to urinate. Overactive bladder – Urinating may be difficult to stop and/or incontinence. Patients may feel embarrassed, wish to be isolated, or limit their work and social life from their overactive bladder condition. A brief evaluation can determine whether there’s a specific cause for your overactive bladder symptoms. Management of overactive bladder often begins with behavioral strategies, such as fluid schedules, timed voiding and bladder-holding techniques using your pelvic floor. If these initial efforts don’t help enough with your overactive bladder symptoms, second and third line treatments are available. 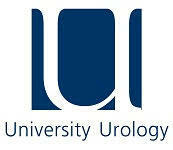 Contact University Urology with your concerns about an Overactive Bladder condition. Dr. Jed Kaminetsky, M.D. is a Clinical Assistant Professor at NYU Medical Center and a Board Certified Urologist. @University Urology. All Rights Reserved 2018.